The Midwest is home base to some of the best Brazilian jiu-jitsu and high-level MMA coaches around today. Top level competitors are traveling from far and near to come to the Midwest seeking high-level Brazilian jiu-jitsu instruction from legends like Carlson Gracie Jr., Marc Laimon, Luiz Claudio, Hannette Staack, Rodrigo “Comprido” Medeiros, and Carlos Lemos Jr., all who make their home either in Illinois or Wisconsin. Now, with BJJ gaining popularity it is no surprise to see a new progressive jiu-jitsu movement begin to unfold before us right here in the Midwest. Now that the UFC and MMA events are becoming a weekly occasion either on TV or at live local promotions the average MMA fan is becoming more acclimated to BJJ as a sport and a number of BJJ-centric events are beginning to pop up. These events are introducing a new concept to mixed martial arts entertainment by organizing jiu-jitsu events designed to appeal the average martial arts fan as well as the BJJ enthusiast looking for something to do on a Friday night or Saturday afternoon. One such event, Fight To Win Pro comes back to Chicago on April 29th at the Odeum Expo center. This event has hosted a number of high-level athletes who compete in gi, and no-gi BJJ, as well as MMA events. Gordon Ryan, Dean Lister, Tom Deblass and many other stars have tested their skills at this event. 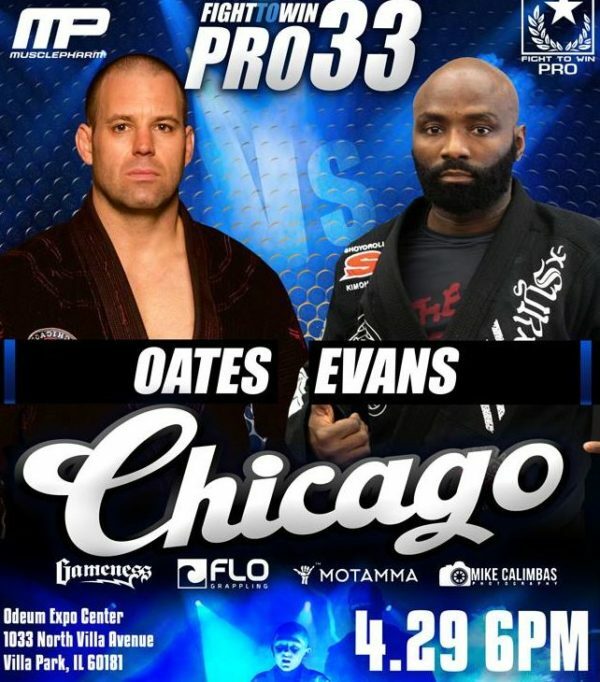 The next event features a superfight between TK Oates (Valko BJJ) and Antoine Evans (Carlson Gracie) as well as an exciting co-main event between black belts Mark Vives (Bonsai New Breed) and Leo Perez (Alliance) that will sure to be an exciting battle in the gi. An even newer organization that has been born here in the Midwest is Wanderlust Grappling, a progressive submission only superfight event, is designed to provide fast paced action that allows for non-traditional submissions, such as heel hooks in the gi. This collaborative effort is led by Greyson Christian a local jiu-jitsu competitor and his partners on the project Dan Heart, Chris Ginko and Katie Day; all of whom work full-time jobs but are pursuing this BJJ project as a passion. Wanderlust Grappling is currently only a local show but has aspirations to grow nationally, says Dan Hart one of the partners on the project. The goal of Wanderlust is to promote Jiu-Jitsu into the mainstream while also promoting the art and encouraging people to not only learn to defend themselves but build confidence and lead a healthier lifestyle. 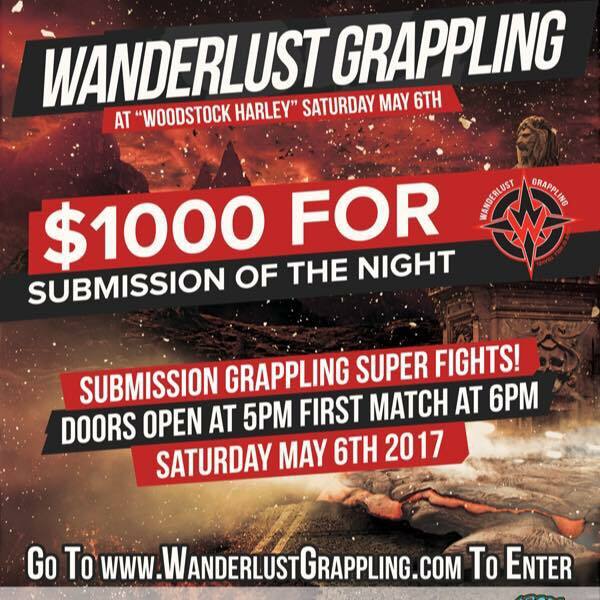 Tickets and information can be found at Wanderlust Grappling, who is set to host their next big event Saturday, May 6 at the Woodstock Harley Davidson. 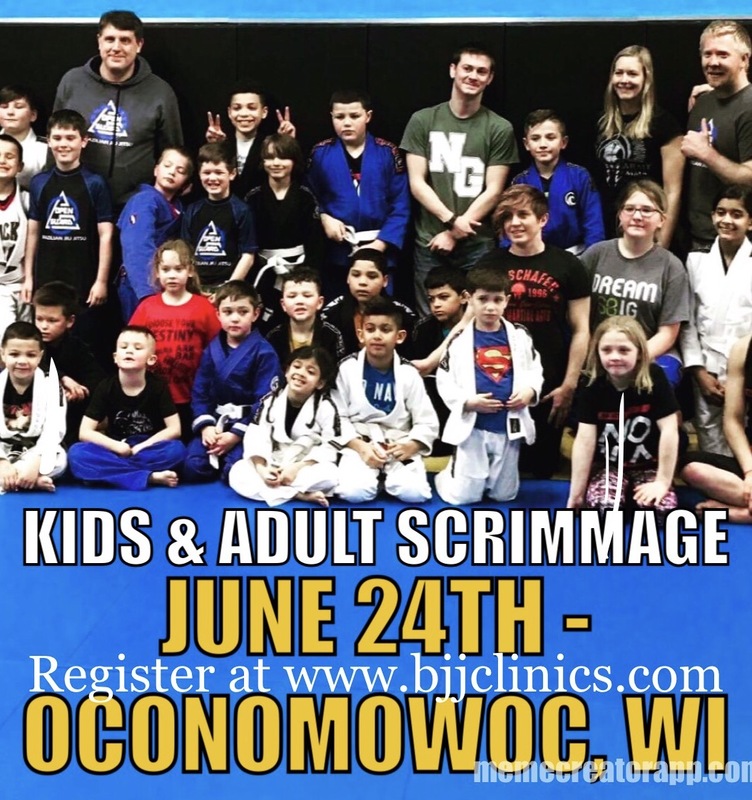 BJJ Scrimmage is another Midwest group who recognized that traditional jiu-jitsu tournaments have not been a practical option for practitioners who want to compete more frequently, or beginner students who just want to get their feet wet in a competitive environment. Many practitioners cannot commit entire days to expensive jiu-jitsu tournaments every weekend and I have even seen examples where practitioners have limited divisional opponents or worse still, have nobody in their division. Families who train BJJ together and also want to compete in local tournaments can end up spending $200 or more just to participate in any event. Competition is all about growth and the crew at BJJ Scrimmages wants to make sure that the participants all benefit positively from their events. For example, they guarantee a minimum of three to four matches for both adults and kids (depending on their ambition they can roll as many eight times). Average registration cost is $20 – $35 depending on the hosting venue in which a portion of the registration cost is allocated for compensating each of the participating coaches who offer their time to help coach their students at these events. The BJJ scrimmages are organized and planned so that the kids and adults division are done within an hour and a half and provides each division with a low pressure but realistic, tournament experience. In addition to what the scrimmages crew is doing locally, they recently partnered with BJJ-4-Change who is now in production of a BJJ documentary that will be featured on Netflix. BJJ Scrimmages will assist BJJ-4-Change in organizing the scrimmages at each of their global Netflix camps which will allow BJJ-4-Changeto focus on seminars, networking, and interviews for the documentary while the scrimmages crew provides the live action rolling shots that BJJ-4-Change needs for their film. By partnering with BJJ-4-Change, the scrimmages team will be introducing podcasting and live event streaming hosted at local venues while still maintaining affordable entry fees for participants and spectators who attend these events. 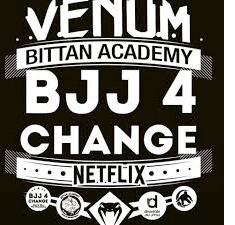 BJJ-4-Change is already known for developing special events for practitioners to roll at like they did in the Dominican Republic at their 2016 winter camp in Punta Cana under wedding terraces on the beach. Both crews will be going back to the DR in February 2018 for a global tropical scrimmage in which applications are now being taken for competitors who might want to participate! In their last event in Paris with host coach Patrick Bittan, the participants rolled BJJ super fights on a boat underneath the Eiffel tower for the world to see. Media sources such as BJJ photographer William Burkhardt of BJJpix, Adidas (who donated Gis for the event), as well as Gracie, and Jits magazine also came out to cover the historical event where other greats like Braulio Estima and Robert Drysdale were in attendance. Chris Martin is Brazilian Jiu­Jitsu Purple Belt with over a decade of experience in the insurance and financial services industries. He has become a Black Belt in serving businesses throughout the Midwest who are focused on creating a culture of vitality and good health within their organizations. Most recently, Chris partnered with one of his corporate clients, Nova Gyms, to assist with the development of their fitness franchise. He has brought in martial artists and coaches who want to grow their business by offering them the business services, infrastructure, financing, and consulting needed to help them make their dreams a reality.